Although James Henry Gunn has had a school named after him in Charlotte, North Carolina for almost 70 years now, not much is known about the man. Even the picture of Gunn from the school's website is not a photograph but rather what looks to be a charcoal drawing. 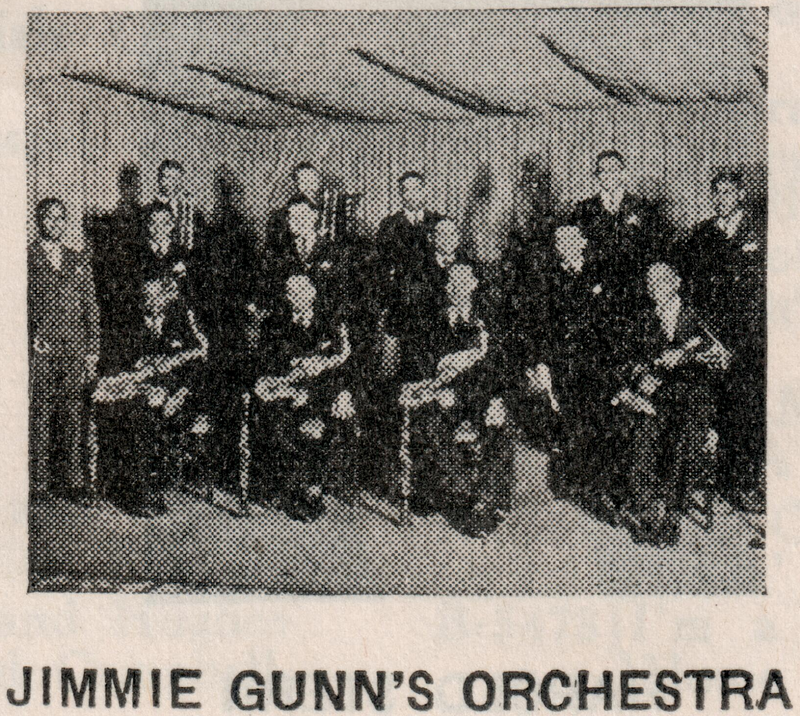 Poring through discographies, Gunn seems to have made his recording debut as the pianist of a Carolina territory band from Charlotte's Johnson C. Smith University in 1931. Taylor's Dixie Orchestra waxed their only two sides in Charlotte on May 23, 1931 for the Victor label. 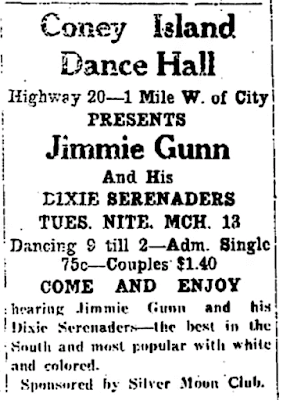 Other than a couple of newspaper clippings announcing upcoming concerts for the group, again, information is sparse. 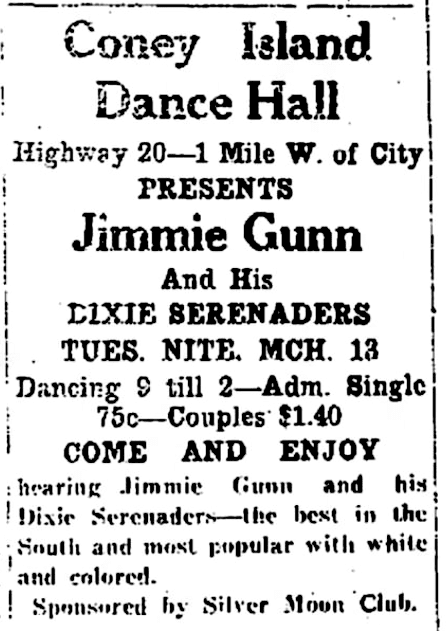 After poor health sidelines Taylor, Gunn assumes control of the outfit, and plays on the CBS Dixie Radio network leading to audience exposure. 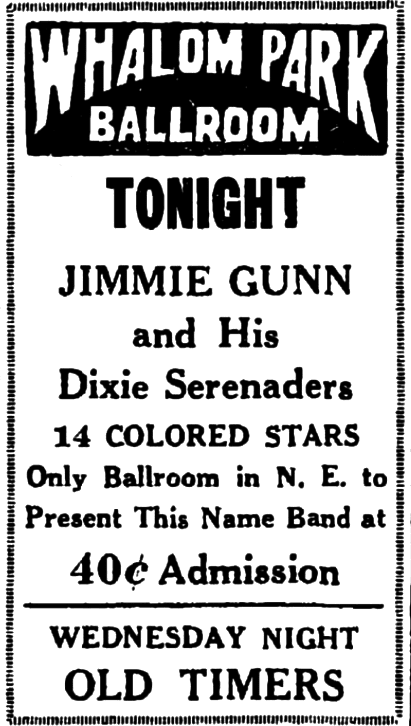 A few years later, Gunn heads back to Charlotte and records six sides at Southern Radio Corporation's second floor warehouse for Victor's budget label, Bluebird on June 18, 1936. The open warehouse gives the music a wonderful cavernous ballroom ambiance that is captured nicely within the grooves. Once again, newspaper clippings survive touting the engagements this band would perform around the country. 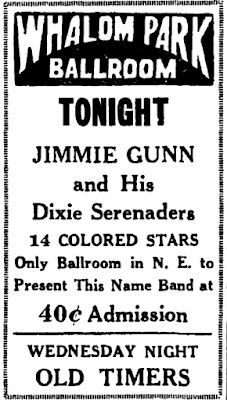 History shows that Jimmie Gunn enters academia as a math teacher several years later and even becomes principal of Clear Creek High School in Mecklenburg County between 1944 and 1945. The school was named for him in 1947 and after going through many changes, is now a thriving elementary school. Below is every Jimmie Gunn side, including the Japanese issue of My Blue Heaven. 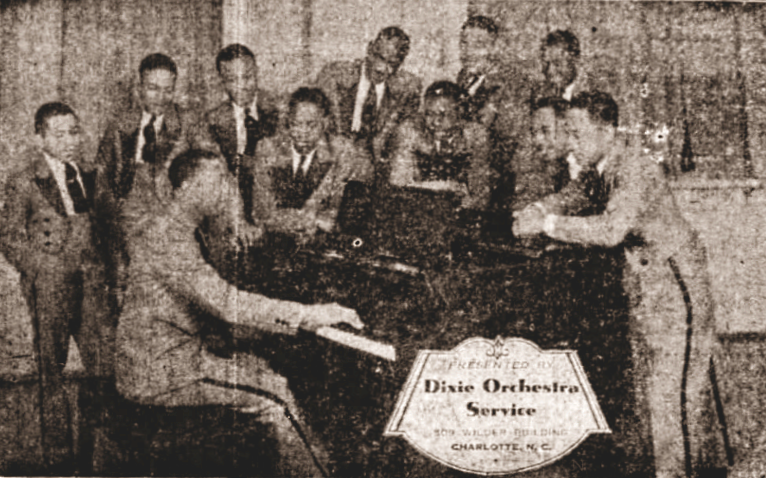 Taylor's Dixie Orchestra: Dave Taylor dir / Lester Mitchell t / Joe Jordan t, v / Leslie Johnakins as, bar / Skeets Tolbert as, v / Ernest Parham ts, v / Jimmie Gunn p / Guy Harrington bj, v / Harry Prather bb / Bill Hart d.
Recorded in Charlotte, NC on May 23, 1931. Jimmie Gunn & His Orchestra: Jimmie Gunn p, dir / Dave Pugh t, v / Charles Daniels, Herman Franklin t / John Orange (Slats? ), Sam Hinton tb / ?Skeets Tolbert, Robert Griffin, James Berry as / Otis Hicks ts / William Shavers p / Alton Harrington g / Harry Prather sb / Raymond Mason d / Sam Jennings v.
I read in the liner notes of Jazz Oracle's cd compilation of Oscar "Papa" Celestin's and Sam Morgan's recordings that only 35 sides were recorded in New Orleans during the 1920s by black bands. I'm not positive that this 78 would comprise two of those or not but here we have the early Black Vaudeville act of Billy & Mary Mack accompanied by a cornetist and pianist in 1925. The piano player was Edgar Brown while the cornetist here is making his recording debut...Ernest "Punch" Miller. Searching the net recently for more information on Punch Miller, I saw that there was a documentary made of him back in 1971. Surprisingly, it is available to watch here. Billy & Mary Mack v / Punch Miller c / Edgar Brown p.
Minnie Wallace v / unknown hca / p / g / spoons. Recorded in Jackson, Mississippi on October 12, 1935. Not much is known about early African American jazz pianist, Charles A. Matson and it appears that almost all of his sidemen are unidentified. Here are the complete recordings under his own name and two more as a backing band...incidentally under a misspelled name. Now the focus shifts to finding the small handful of female blues singers he accompanied. Recorded in New York on January 31, 1923. Recorded in New York in July, 1923. Charles Matson p, a, dir / 2 c / ? John Mayfield tb / ? Ernest Elliott cl, as / ? Sam Speed bj. Recorded in New York in January, 1924.